JERUSALEM (CNS) — Pope Francis accepted the resignation of Melkite Archbishop Elias Chacour of Haifa. Canon 210 of the Eastern Code of Canon Law allows for resignation for health reasons or at the age of 75. Archbishop Chacour is 74. Last October, the well-known archbishop was called in for questioning for suspected sexual harassment of a woman who works in the community; the allegations concerned an incident that allegedly took place five years ago. Following several hours of questioning, the archbishop was released on bail under restricting conditions. The complaint was filed two years ago, but the investigation needed special permission to proceed because of the archbishop’s standing. Archbishop Chacour was reported to have been cooperative but denied the allegations against him. A source familiar with the church in Galilee noted that the archbishop tendered his resignation after speaking with church officials, who suggested it would be best if he resigned. Ill health and the sexual harassment charges against him appear to be among the several reasons he resigned, said the source. Micky Rosenfeld, a police spokesman, told CNS that the investigation of the archbishop had been moved to the national level several months ago and, because of the sensitivity of the case, he could not comment on its status. But Archbishop Chacour told CNS Jan. 28 that he had presented his requirement for resignation last year before any of the charges had been filed against him. He said his retirement had “no relation whatsoever” to the charges and described himself as “happily retired” in good health. Archbishop Chacour has been temporarily replaced by a new apostolic administrator, Maronite Archbishop Moussa El-Hage of Haifa, apparently out of logistical considerations, since he is the archbishop with offices closest to the seat of the Melkite Archdiocese of Haifa. Melkite Archbishop Joseph Zerey of Jerusalem is 72, while bringing in an archbishop from Lebanon would mean taking him away from his own parishioners for days at a time when he would need to travel to Haifa and cross an international border. 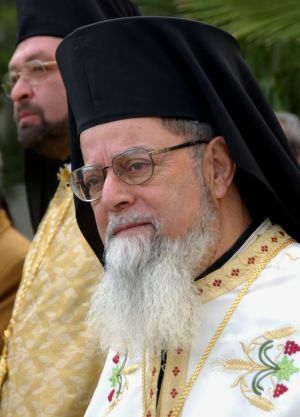 In February 2009, Archbishop Chacour was appointed by the Melkite Catholic synod as the first Israeli citizen to be a Melkite archbishop; he also was the first Hebrew-speaker to hold the position. Before becoming archbishop, he headed a school with Jewish, Christian and Muslim students as well as an Arabic university, which he helped found both in the Galilee village of Ibillin, where he served as parish priest.